In addition to November being No Shave November and the month I began chemotherapy in 2016, it’s also the month I began writing about my cancer journey. ABSOT was officially launched towards the end of the month and since then, I have published over 100 pieces here, in addition to about 120 other guest posts/interviews on other sites. Last year around this time, I wrote about the story behind the creation and original intention of ABSOT. 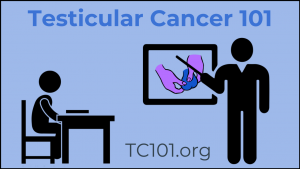 The first plan was to begin developing a comprehensive resource for someone facing testicular cancer, as it was something I could not easily find when I was initially diagnosed. Since the active treatment part of my testicular cancer journey wrapped up almost two years ago, I haven’t added new pieces in this regard. However, I do frequently receive emails from new patients who find my blog. 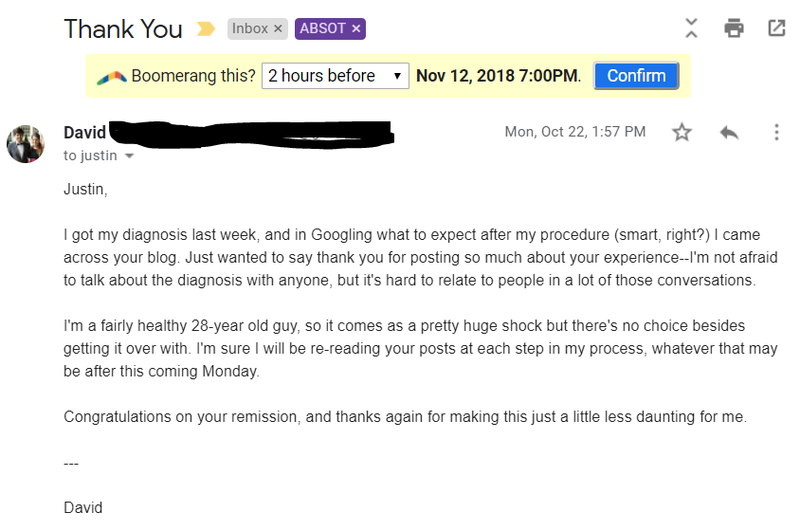 It’s nice to see that the resource I wish I had is helping others and I can point them to one of my posts about what to expect in their coming journey, whether they’re wondering if they should bank sperm for the future, how hair loss will go, or if nausea ever proves to be an issue. These pieces are generally focused on two of the other goals of ABSOT – sharing an honest look about what it means to be a cancer survivor and broadening lines of dialogues about men’s health as a whole. These are two vital parts of my post-cancer life (so much so that the current series on ABSOT is literally called “Post-Cancer Life” and form the bulk of my writing these days). Beyond the PCL series, I have also opened up ABSOT to share the voice of others through the Band of Ballers series. 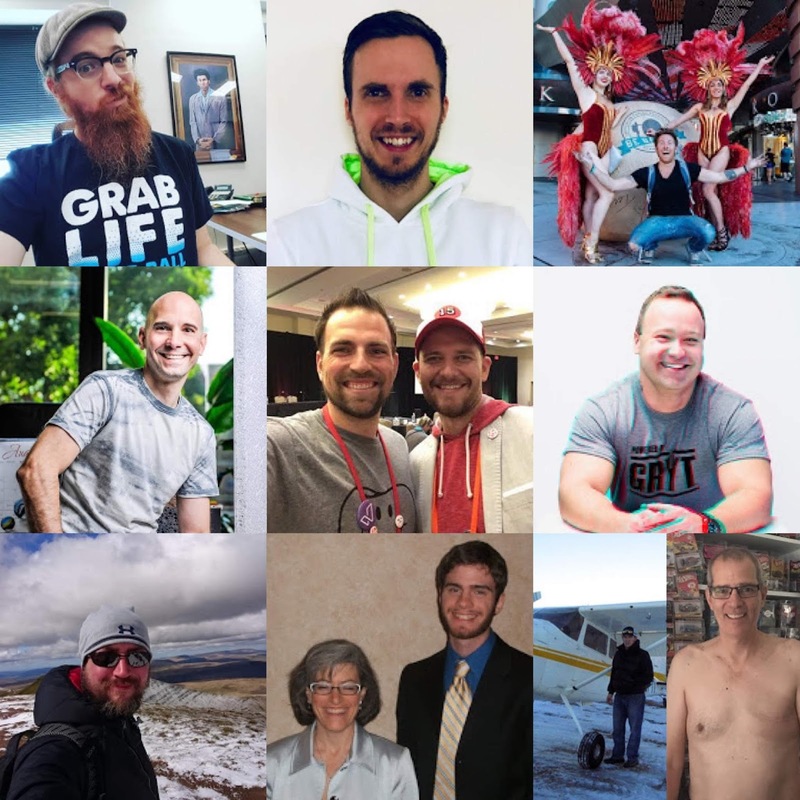 This series was launched in April 2018 and features other testicular cancer patients, survivors, and advocates who have grabbed their life by the ball(s) to spread awareness about this disease. I get to play more of an editor/producer role in these pieces and it is completely awe-inspiring to see other men sack up to share their stories so openly in hopes of destigmatizing men’s health. In the future, I hope to continue this series and bring in advocates for other men’s health conditions, such as when John Falk shared his story with male breast cancer. 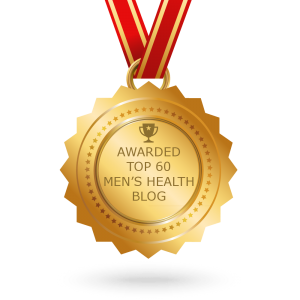 At the end of the day, I’m still just one man, with one testicle, and one blog, but by giving a platform to other men to share their health journeys, we can get the ball rolling on changing this narrative. CURE is the largest publication for patients, survivors and caregivers in the US. Knowing this, I was honored when they reached out to bring me on board. Perhaps my favorite thing about having CURE as an additional place to write is that I can keep ABSOT’s focus on men’s health and post more generalized cancer pieces on CURE. The community on the CURE Voices forums truly “get” what I’m saying in these pieces, so it’s great to have another place to share my random rambling thoughts. While the first few posts on CURE were remixed versions of my original journey and posts from ABSOT, I also regularly produce exclusive pieces that do not appear here. Since I did a top twelve list last year of my favorite ABSOT posts, I felt it was just as important to do one this year for CURE, since they have become such an integral part of my writing process. The list is presented in descending order. How To Write Your Story – As this post is reflecting about writing, it seemed appropriate to include this piece that details my process for writing and sharing my story. Four Things to Expect in Cancer’s Aftermath / Living with Cancer’s Uncertainty / Advocating for Cancer Action – These three pieces are about breakout sessions from the YA Cancer Conference I attended in September in the DC area. The Other Side of the Cancer Conversation – About two years after my own diagnosis, I was able to help a newly diagnosed co-worker. There are also a lot of subtle references to The Greatest Showman in this piece. Conquering the Spartan Sprint After Cancer – About a month before my diagnosis in 2016, I “ran” (read: walked) the Spartan Sprint. Just a few weeks ago, I did significantly better. What Cancer Survivor Day Means to a Testicular Cancer Survivor – June 3, 2018 was Cancer Survivor Day. This is what it means to me. Another Spring, Another Worry, Another ‘Balltrasound’ – Fears of recurrence is a constant struggle. However, I’m learning to handle it better. But First… Let Me Take a Cancer Selfie – Beyond the blog, social media is how I raise awareness. The Dark Side of Cancer and Social Media – As a continuation of above, this is what I see as a troubling misuse of social media in the cancer community. Pulling the Cancer Card – It’s a powerful way to get what you want, but when is too far? Why October Scares Me – October is diagnosis month for me. Sometimes, thinking back on it is more terrifying than any Halloween movie. Chemo Brain Returns? – Chemo brain (discussed more in depth in this feature I did for CURE Today) is a real thing, and sometimes I wonder if it’s truly gone. How Cancer Has Taught Me to Just Say No – It may sound selfish, but after facing cancer, I spend more time saying no to things that just don’t appeal to me. ‘I’m Not an Inspiration,’ Says a Testicular Cancer Survivor – Of all the words that have been used to describe me, inspiration is among my least favorite. Without further ado, I present the second annual top ten ABSOT posts of 2017-2018, again in descending order. 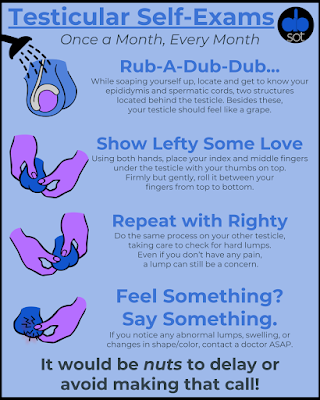 *Please note I chose to put both lists in descending order because an undescended testicle is a factor for an elevated risk for testicular cancer. I’ve touched on this in last year’s post, but I can never understate the importance of finding an outlet for dealing with cancer. For me, I have a hard time verbally speaking my feelings out loud. I can never seem to find the spoken words to reflect what I am trying to say, but I don’t have any problem writing them out. When I am feeling down, I write. When I am feeling proud, I write. It gives me an outlet and helps me process. By having written so much over the past two years, I have a more or less complete record of my life and how far I’ve come. Every few months, I go back to reread the pieces to really reflect on what an incredible journey I’ve been on since October 2016. I don’t have any plans to stop, as this is a passion that truly brings me joy and helps me finding purpose and meaning in life. Here’s to having a ball as we begin looking forward to a great third year of writing about balls. 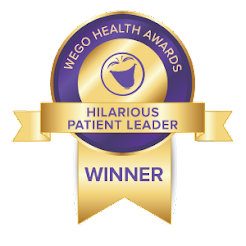 ABSOT is endorsed by the Laughter Arts and Sciences Foundation, a registered 501.c.3 charity. To make a tax-deductible contribution to help continue ABSOT's work with testicular cancer awareness and men's health, click the image below. If you have questions or want to talk, email me at justin@aballsysenseoftumor.com. Click to learn more about how you can stay on the ball with this campaign! 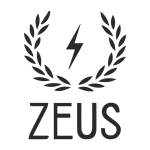 Visit Zeus Beard for your beard care needs. Use discount code 'ballsy10' for 10% off your purchase. Thank you to these companies for their support of ABSOT!